The central piece of this publication, Political Zionism: The Hegemonic Racism of the early 21st Century, by Ian Donovan tackles in cogently argued detail the position Zionism plays in modern capitalism. The basis claim that Ian puts forward was contained in the original work, also in IDOT 17, his Draft Theses on the Jews and Modern Imperialism on 6-9-2014. I witnessed the advance of right-wing, British chauvinist ideology when I was studying for my Open University Honours History degree. OU Professor Arthur Marwick was clearly a man of the right and this emerged clearly in the course on the English Civil war. Christopher Hill was marginalised and a tutor put a red mark through a quote I used from him writing , “I don’t agree with your source” across it. The world expert on 17th century England was dismissed as a discredited leftist. But it was the 20th century that was the worst. Germany was to blame for WWI, we were supposed to believe and explanations about equal culpability among competing empires were poo-hooed. Our tutor, John, who had been in The Militant, warned us not to do the question on the Holocaust if it came up. I got an inkling of why he was warning us when Ian Kershaw, professor at the University of Sheffield and author of volumes on the life of Hitler, appeared at a Channel 4 programme where I was in the audience. I noted he had not mentioned the German Labour movement at all and focussed his speech on Hitler’s hatred of the Jews as the explanation of how he came to power. I questioned this, were not the first victims the trade union leaders and the working class parties? Surely it was smashing the organised working class that prepared the Holocaust? Indeed no, the Zionist minder by his side assured the audience. The Jews were the target all along, it had nothing to do with the working class, these leaders were only sent to concentration camps, the Jews were sent to death camps. I could not resist the Holocaust question in the exam and I failed that very badly. Basically you were meant to balance your answer between the proposition that all Germans were aware of and approved of the Holocaust and the idea that it was the responsibility of the Nazi state. This was posed by reliance on Daniel Goldhagen theses in Hitler’s Willing Executioners that a particular death squad, Reserve Police Battalion 101, who exterminated Jews, did it eagerly and willingly and had no need of encouragement from Hitler. They were just evil bastards and that was that. I quoted from Norman Finkelstein’s A Nation on Trial and followed his lines of argument, which I had studied in detail, in systematically destroying Goldhagen’s outlandish reactionary arguments. You were supposed to give due weight to racism and not attempt to destroy their arguments. Those who praise the scholarship of Finkelstein’s work, and that of his co-author Ruth Bettina Birn, include Eric Hobsbawm, Arno Mayer and Ian Kershaw. The marking regime, which tutor John was aware of and so warned against, was surely guided by that Zionist minder who stood beside Kershaw during the Channel 4 lecture. Gerry…I followed from very far afield bits and pieces of the controversy surrounding Ian Donovan and the Weekly Worker. I have not really had the time to follow all this an so I reserve judgement for now on this. One of things that is problematical for me is the application of Abram Leon’s channeling of Karl Marx’s view of Jews in Europe to Jews in the modern period…as Abram was writing this book in fact…as the transformation Marx talked about of the Jews from petty-bourgeois (the “people class”) to that of the proletariat, which more or less had been completed or went as far is it could. The larger point is over the role of Jews in, say, the United States. This is an increasing point of contention on the left generally and in the Palestinian solidarity movement more specifically which itself has a very high proportion of pro-Palestinian Jewish-Americans building it. This distills down to the role of the America Israeli Political Action Committee or AIPAC. AKA “The Lobby”. It is here that the controversy is so sharp. There are different schools of thought on AIPAC including those expressed in well meaning academic types like John Mearsheimer and Stephen Walt in their book “The Israel Lobby” and the works of James Petras, Lenni Brenner and others. 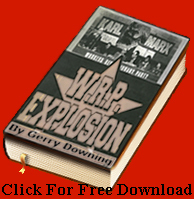 While many of the facts are laid out in these works (which, unfortunately, usually means “Jew counting” famous or influential Jewish-Americans in various strata in American society like newspaper editors or Hollywood directors and actors and then placing an equal sign between “Jew” and “Zionist”) they are also void of any materialist analysis of Imperialism. The basis thesis, exhibited by all of the above and others like Alison Weir, Jeff Blankfort and others is that US Imperialist interests would be somehow “different”, even “pro-Arab” if it were not to the near metaphysical influence of “The Lobby”. That Imperialism is working against it’s own interests by supporting, funding and arming the Israeli state. My contention is that this view is reactionary at a fundamental level. Because it *disarms* Palestinians specifically and those in the West in solidarity with their struggle because it misleads them in who the enemy is and makes Imperialism seem that it can be easily manipulated. It leads into a sort of national patriotism, such was with Alison Weir who, it seems, have little understanding of Imperial aims and who would, it seems, otherwise defend it if it weren’t for all those….”Zionists” controlling “our” foreign policy. Imperialism can be influenced, even steered in certain ways, but it simply never does anything against it’s own class interests. These “Lobby” conspiracists over inflate the role AIPAC plays and the limitations placed on it by the US ruling class. There is no doubt that AIPAC is the most powerful foreign lobby in the US. But that it ‘controls’ policy was given a lie to during the recent meltdown of AIPAC because of the passing the US – Iran nuclear deal which “The Lobby” fought tooth and nail on behest of the Zionist entity in occupied Palestine. It lost. The U.S. ruling class, precisely because it is NOT controlled by any foreign entity, diverged from the interests of the Israeli ruling class on this important issue. In fact, and this goes to the issue of any sort of Jewish-American ‘conspiracy’ nonsense that clowns on the far right like to extoll (Klan supporter David Duke, Birchers, Militia types…and some of the left….) of an organized understanding of what Jewish-Americans are supposed to do. By 70% Jewish-Americans supported the US-Iran deal. A huge defeat for AIPAC. Why? Though Jewish-Americans are generally “defenders” if the *existence* of Israel, their views are totally integrated into US capitalist politics like every other hyphenated American…and that means not be told how to think by some agency of Israel operating as a K-Street lobby organization. In fact, there are very few organizations…and none that I know of…that actually represent Jewish-Americans. They tend not to be involved in “Jewish politics” but simply as “Americans” with all it’s warts, blemishes and problems inherent to class society in the U.S.
And major Jewish-American politicians as well broke with Israel on the nuclear deal…exactly as they did over the 2003 invasion of Iraq, the first big defeat, though unnoticed, for AIPAC. The US ruling class *always* operates in it’s own interests. As I noted above it can be influenced but the fundamentals of US Imperialism and it’s expansionist war mongering ways are done on it’s own terms, not that of a weaker Imperialist state like Israel. Not understanding this relationship of class forces in the U.S. and internationally is what leads all the above non-Marxists “Lobby conspiracists” to dovetail, as they do, with right-wing anti-Jewish bigots who like nothing more than to “pin it all on the Jews.”. Were Jews in the US drawn overwhelmingly into the proletariat? Many were. But the fact is they are also massively over-represented in the American bourgeoisie relative to their numbers in America as a whole. Even Moshe Machover, one of my chief antagonists, conceded that as related in this article (which also contains a link to the video of Machover’s original presentation, for verification). Analysing the representation of Jews in the bourgeoisie is no more ‘Jew counting’ than analysing the representation of Jews in the proletariat. Both are aspects of social reality that have to be dealt with in class terms. My citation of and extrapolation from Leon’s analysis of the historical role of the Jews provides a materialist explanation of the origins of this overrepresentation in the bourgeoisie. Since this exists in reality, if a materialist analysis is not made of the reasons for this, other explanations will come to the fore in time. Bourgeois and imperialist policies are not monolithic, They are the resultant of different trends within the ruling class. Measheimer and Walt, for instance, are conservative bourgeois idelogues who believe the subservience of the US to Israeli policy is against American interests. There are corresponding elements in the bourgeoisie here, as represented politically by for instance Peter Oborne and Peter Hitchens. Whether or not they are ‘well meaning’ is neither here nor there. They are representatives of a bourgeois trend. Alison Weir, though she engages with people even to their right, is a more consistent, implicitly bourgeois liberal and well to their left. The Iran deal is very fragile, though Obama has managed to push it through for now. It could be, an in my view probably will be, overturned by Hillary Clinton quite easily, in the incremental manner that Carter overturned detente with the USSR, let alone a Republican. Clinton was very late to even formally endorse it and her endorsement was so full of caveats that Iran should not be trusted to stick to it as to make her ‘endorsement’ worth very little. The current conjuncture with Obama is that of a lame duck president who does not fear the lobby due to not facing re-election, and thus who has the short term latitude to defy it. It does appear that Obama has come to share some of the antipathy to the lobby expressed by Measheimer/Walt, but there is no reason to believe that this will outlive his presidency. There are good reasons why it should not. The opinion of atomised Jews of all classes on the Iran deal means little in terms of whether the Iran deal will be sustained by the US bourgeoisie. What counts is the opinion of the overrepresented Jewish-Zionist bourgeoisie, and whether they still have the moral authority among the wider bourgeoisie to prevail politically over all their opponents, potentially including also Jews outside the bourgeoisie. Not all Jewish bourgeois incidentally are part of the consciously ethnic nationalist, Jewish-Zionist project, but I don’t know of any hardened opponents of it among such (except maybe Stephen Walt). And the Jewish-Zionist bourgeoisie, which is the material basis of the lobby (indeed it is arguably the Marxist scientific term for the lobby itself) has considerable ability to co-opt. Denial of the specific, concrete relationship between Israel and its imperialist partners and refusal to analyse concretely why Zionism exerts such power in Western societies disarms the Palestinians. If for instance David Cameron were to try to march into the US Senate and strong-arm Congress the way Netanyahu did, it would provoke a chauvinist backlash against ‘interfering Limeys’. But even though Netanyahu has been overruled by Obama for now, no such chauvinistic backlash has taken place against Israeli interference in US politics. This betrays the fact that there is a different relationship between the US and Israel, to that with Britain or any other of the US’s imperialist allies. Similar relationships can easily be shown to exist between Britain and Israel, France and Israel, Germany and Israel, etc, nothwithstanding the different proportions. To refuse to analyse this in Marxist terms is to disarm the Palestinians. I would be interested to see some attempt to concretely refute this within the framework of Marxism, instead of the implicit argument that to analyse material facts that are well known in Marxist terms amounts to ‘Jew counting’. It seems to me that this taboo slightly reeks of exactly what its advocates accuse their opponents of: i,e placing Jews outside of the boundaries of what is allowed to be analysed and therefore implicitly in a different category to the rest of humanity (of all classes). Ian, you are mixing apples and oranges here. No, not just “many Jews” were becoming proletarian, almost *all* of them did, and those that were petty-bougeois served, for decades, that very same class, integrated, socially as it were, the proletariat. The development of Eastern European Jews in the U.S. was exactly the same as every other mostly peasant and small village immigrant grouping that settled in the U.S. be they Greeks or Italians, Germans or Poles….they went to work in factories and by and large became proletarian. There were, I should, never any significant number of Jewish-American among the manufacturing bourgeoisie as that was, and until recently, remained a club of the WASP ruling class that had that upper strata of the .001% locked in at least through the 1960s and 1970s. The problem is you “extrapolate” something from Leon that is not as applicable in the U.S. as it was in Europe. Leon explained *why* Jews ended up as a people class (there is little evidence, unfortunately, that this could actually be generally applied to all Yiddish speaking Jews in Eastern Europe but that’s another topic). It’s in fact a highly mechanical application while ignoring those class dynamics you claim to “analysis” too. Leon goes over what he thought he understand as the Christian imposed segregation of Jews through laws that prevented Jews from entering certain profession, schools, and industry. Confined to the “stetyl” or small villiage they were permanently petty-bourgeoisified on the periphery of the gentile nation. In the US they were socially ghettoized (ghettos didn’t become a big think until the early 20th Century as capitalism started to develop industry) in *large* cities and not little villages. Almost immediately these proletarianized Jews started shedding their adherence to Orthodox Jewish theology and adopting a socialist one. Thus Jews started participating the class struggle in the U.S. also immediately by forming unions and becoming involved in socialist politics *in their majority*. The was something of a similar process going on in Russia and Poland but to a much smaller degree given Jews forced geographical segregation. (it should be pointed out that Leon knew very little of this process and how it worked, which is why it’s not explained too much in his book). The *earlier* set of Jewish immigrants were part and parcel of the middle-class German strata of immigrants who settled in since the defeat of Revolution of 1848. They were basically assimilated Germans of Jewish decent were wildly spread across the continent. There was, traditionally, reflected in my own parents hatred of German Jews (since I come from that proletarian sector of Jewish-Americans) was visceral at many levels. They simply didn’t mix and they never lived or associated with each other until well after WWII when the class lines started to blur. When Jews entered “the bourgeoisie” they did so through the result of, ironically, victories of the early Jewish dominated Socialist and union movements in New York City that established things like City College of NY being open to all New Yorkers and just the WASP children of the Old Rich, and smashed down the ethnic- job trusts established by earlier generations of Irish immigrants and Italian-Americans. Their adherence to education as a primary focus of the family propelled them into medicine and law (professions they were routinely excluded from in Poland and Russia I might add). From here, concentrated in NYC, many of the lawyers entered into the corporate world *well after WWII* where a few 10s of thousands were able to get into and join the corporate ladder into board rooms of the Fortune 500. Prior to this period, Jews were not “white” and not considered as such until the 1950s. Jewish-Americans were the last ethnic group to be considered White in American, the color line being always the most important aspect of capitalist rule in America, as it is today. The key point here is that they did so as part of the bourgeoisie, still overwhelmingly WASP in make up, thoroughly assimilated and not in any way a “segment” or “section” or least of all a “Jewish Bourgeoisie”. There are bourgeois Jews stratified through out the US ruling class, but they are part and parcel of the bourgeoisie itself and hold no caste or other form of distinct relationship as a group to the rest of the class. Jewish-Americans as a whole … meaning 99% of them have worked themselves out of the working class (along with similar numbers of other ethnic groups) in the same former industries they dominated as a workforce, and into the professional middle-class which holds little power as a strata in and of themselves. There is nothing particularly interesting about the Jewish middle class in America, being 100% assimilated into White American society. But you don’t analysis it except to say it’s “powerful”. Indeed, it is and different in each one. But even the pro-(but critical) relationship between Jewish-Americans and Imperialism is subordinated to the dynamic of *U.S.* Imperialism, not Israels weaker imperialism. This is the problem Measheimer and Walt, and Weir find themselves in: they believe the US foreign policy (by extension, other Western Imperialism one might suppose) by mechanically counting Jews in the media or in board rooms and supposing their is a direct extension of this to what *otherwise* would be a…what? A “pro-Arab” imperialism? I should come as no surprise that neither of our opiners noted above have *any* understanding of Imperialism whatsoever and Weir, in particular, a liberal, is actually “patriotic” as it from the stance of a “better Imperialism” that she writes. When Imperialism established it’s pro-Zionist policy, it does so very carefully, playing off Israel to the reactionary Arab monarchies it also established via the French and British interventions prior to WWII. Imperialism knows exactly what it is doing when it built it’s anti-Soviet bloc with Israel as the threat against the Arab regimes that might of used the USSR as a bargaining chip. AIPAC itself, which is dedicated to the Israeli state AND it’s point of view, understands this and as Jewish-Americans continue to break with it on policy, especially with regards to US-Israeli relations of Middle East policy, they are in a panic. If a serious break ever did occur…and there hasn’t been real inter-Imperialist rivalry since WWII…then Israel, along with AIPAC, will be tossed out in the garbage as so much trash, whatever the majority of US Jews like it or not. Because that is the way Imperialism rolls. Always. So yes, Ian, I agree, its important to understand the relationship of US Imperialism to Israel’s imperialism, and Jewish-American influence, but to fall into the trap of the old “Arabist” wing of the US ruling class…which is and was extremely tiny, you’d have to prove, which no one has *outside* of Jew-counting “publishers, owners and journalists” in the media, that the *interests* of U.S. Imperialism lies anywhere else than with Israel. And to date, neither Measheimer and Walt, Weir, Petras or any one else ever has. In fact they all avoid the issue class relations and understanding Imperialism does and why. “…By the turn of the century problems of a more profound and lasting sort for Jews began to emerge in the United States. The mostly latent hostility, the potential of existing negative stereotypes and religious imagery, now began to connect more solidly and abundantly with objective problems, with real conflict between Jews and non-Jews. Not only were hundreds of thousands of Jews from Eastern Europe moving into the country, but the earlier Jewish immigrants, the upwardly mobile and often sensationally successful Germany Jews, began to move as never before onto the terrain of older Anglo-American elites. Newly rich Jews also began to compete with newly rich Gentiles for positions in high society, and the Gentile nouveaux riches were apparently even less inclined than the older American elites to mix socially with Jews. This rings true. The perception that Jews played an important role in the US ruling class even at the time of WWI was widespread among European politicians, and not just anti-semitic ones. It was also remarked upon by the Israeli historian Tom Segev in his One Palestine Complete. It did not come from nowhere. Later waves of migrant Jews to the US were in part the victims of anti-migrant sentiment along with Italians and others, but Jews from both waves did gain a foothold among the bourgeoisie even if they were sometimes resented. It was a mixed, contradictory picture and phenomenon. Which is a material difference from minorities that really did suffer endemic social oppression in the US. Which is not to say that there was none of that at all. Jews in the US were an intermediate case. Leon’s theory explains why Jewish bourgeois had a cultural advantage over other national or quasi-national groups in terms of being absorbed into the bourgeoisie, not particularly those concerned with heavy industry, but rather concerned with trade,finance, and the like. That accounts for the over-representation. That is the only extrapolation I make from Leon’s theory to the US. But only the Zionist project makes it significant. Without that it would not mean much. Incidentally, I don’t think Leon did regard the Christian ‘disabilities’ imposed upon the Jews as the cause of their economic role. Rather, they were a subsidiary tool to maintain their economic role and keep them Jewish because the Jews were economically useful in that role to the feudalists. This was not persecution, but an economic privilege. It only became oppressive when the economic role went into decline, and became redundant. Zionism is powerful because of this over-representation, and the fact that the attitude of the gentile bourgeoisie toward the Jewish bourgeoisie has undergone a major change particularly since WWII and then 1967. These are two strands of analysis: you can argue that they are untrue if you like, but I have not seen them refuted in fact. I don’t think the likes of Mearsheimer and Walt, let alone Weir, are Arabists at all. M-W are not even hostile to Israel. They think that the servility of the US to Israeli excesses is counterproductive from the point of view of even the rational interests of Israel. They actually want an even handed policy to encourage ‘rational’ Israeli behaviour. Weir does not appear to share this, but devotes herself to documenting the historical roots of imperialist and Zionist perdify with respect to the Palestinians. She is actually a principled activist, not a bourgeois ideologue. And in this regard I note that Louis Proyect has also been subjected from abuse from the purveyors of Jewish identity politics for defending her (and the Stop the War Coalition in Britain has been witchhunted by Zionists for publishing some of her writings on their website). So what if people like Weir are not Marxists and do not understand imperialism? Maybe what passes for ‘Marxism’ today is not conducive to winning some of the most courageous activists, because it is polluted by conceptions that are not really Marxist but are in some way concessions to either Zionism or Jewish exceptionalism. And that is why the ‘Marxism’ that is around, which ignores the specificities of key aspects of Zionism and the Jewish question, is not currently attractive to a whole layer of activists. Condemning such people for not being Marxists when there is no real coherent Marxist trend or body to win them to seems to me rather self-defeating. The task is to build one.